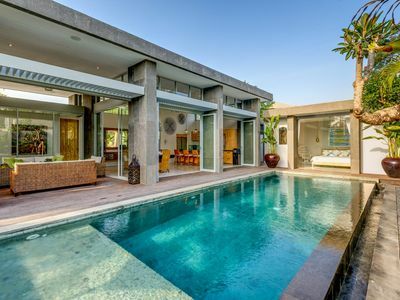 Located just one kilometer from Echo Beach Canggu, a very popular beach for surfing lover with it is beautiful sunset, The villa has a total of five Bedrooms set around the Infinity Pool each positioned towards a different scenic view. 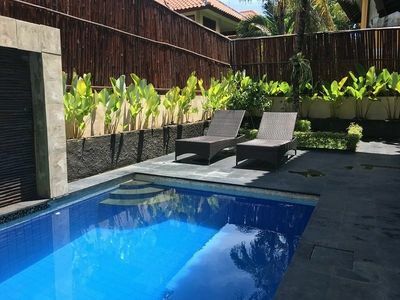 Featuring tropical elegance, this private villa for rent Canggu 5 bedrooms is fully furnished with modern facilties &amp; amenities. 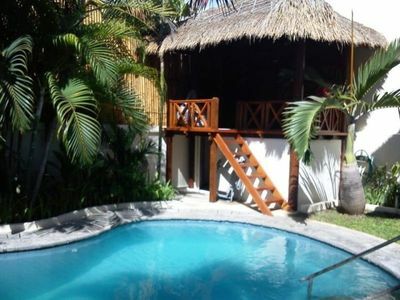 The villa is fully serviced by 1 villa supervisor, 1 cook, 2 houskeepers, 1 gardener &amp; pool attendant and 2 security guards. * Free daily use of one Kijang Inova van with driver for up to 8 hours, except for arrival and departing days. Guests are responsible for gasoline expense. Overtime is Rp50,000/hour, paid directly to the driver. 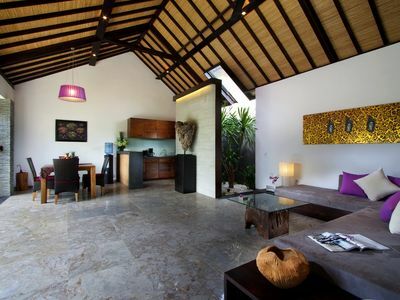 Starting time for this complimentary service are flexible to suit guests needs. 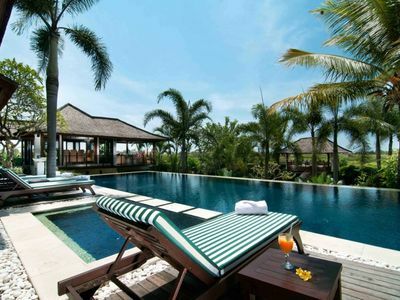 * Staffs consist of: a supervisor, 2 cleaners, a chef, a gardener, and pool technician. 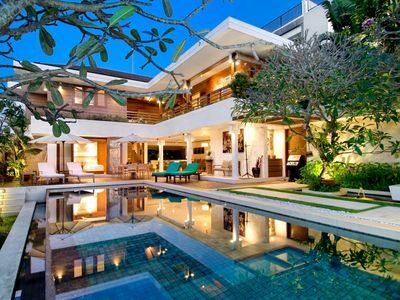 The villa has a permanent 8-member staff, consisting of a supervisor, 2 cleaners, a chef, a gardener, security guards, and pool technician. We can arrange for a babysitter if needed. Our housekeepers are available to service the bedroom suites each morning and late afternoon. Tax and service charge already include on the rate No smoking in bedrooms and bathrooms, smoking is only permitted in opened area.